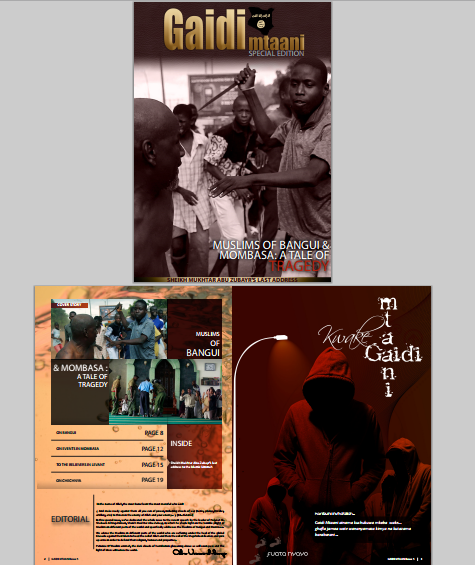 Violent political tensions in the Bay region capital of Baidoa have been growing steadily as the city has become the most recent flashpoint in Somalia’s federalism crisis. 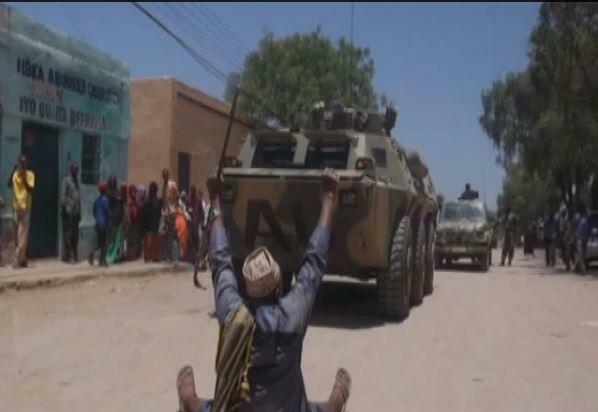 Protests by supporters of an effort to create Southwest State with six regions (“SW6” – Bay, Bakool, Lower Shabelle, Gedo, Middle/Lower Juba) against their counterparts “SW3” (Bay, Bakool, Lower Shabelle) have resulted in exchanges of fire and casualties. In one reported incident, men guarding ex-Parliament Speaker/SW3 aspirant leader Sharif Hassan Sheikh Adan’s house allegedly responded to pressure from protestors by shooting a 16-year-old boy who later died from his injuries. 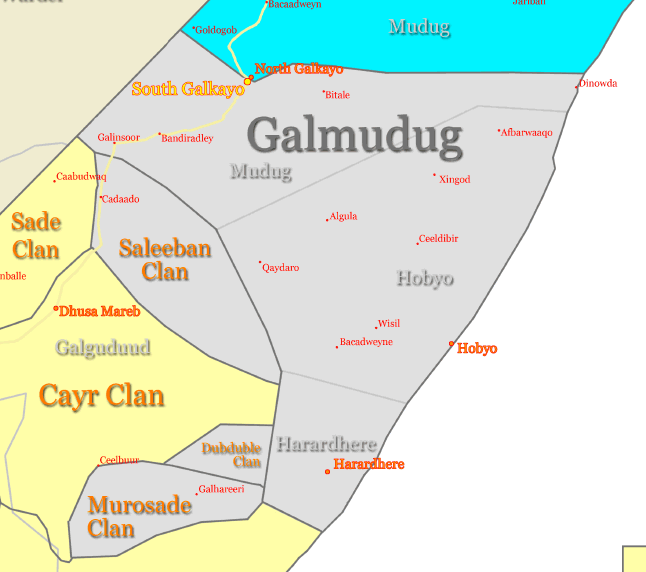 Historical Mistreatment: Especially in the past few decades, Digil/Mirifle (Rahanweyn) and other clans have in many cases been pushed off land they see as traditionally theirs in southern and southwestern Somalia. The attempt by Baidoa delegates to create an administration including the Jubba region (Gedo, Middle/Lower Juba) as well as Bay, Bakool, and Lower Shabelle is in part a response to this. Of course, there are other aspects of marginalization that go along with these grievances, and a large Southwest state would represent a newfound claim to political power in the country. Addis Ababa Agreement: The IGAD deal struck in Addis Ababa, Ethiopia between Ras Kamboni/Jubaland leader Sheikh Ahmed Madobe and the Somali government to create an Interim Jubba Administration (IJA) jointly ruled by both parties infuriated other stakeholders who argued that the non-inclusive agreement failed to address the interests and grievances of other clans and groups in the region. AMISOM’s Contested Neutrality: While AMISOM recently claimed to be “neutral” in Somalia’s federalism process, Ethiopia and Burundi’s controversial and temporary blockade of the Baidoa rival camps’ conference halls in January 2014 drew protests, rebuke, and challenged the AU’s claim to such neutrality. The fact that the AMISOM mandate requires its forces to support the Somali government reduces any chance at an objective stance in the federalism process. 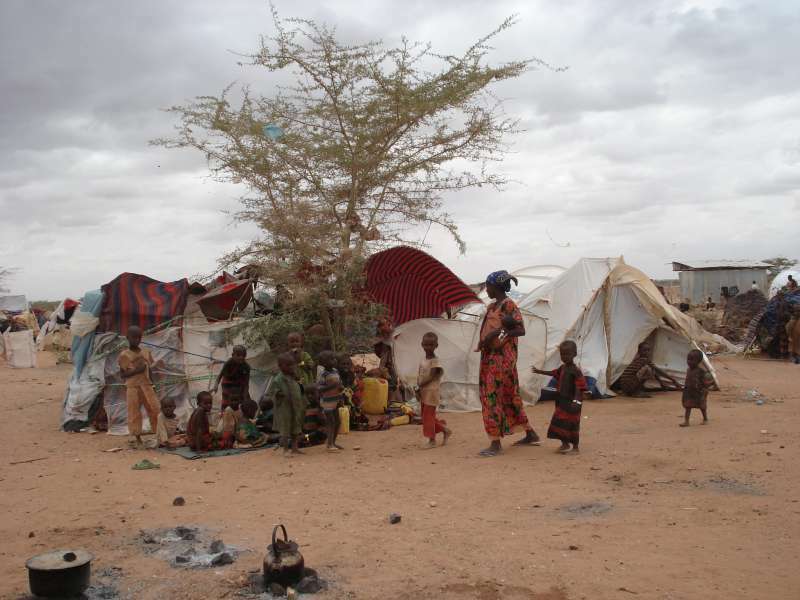 The blockade emboldened the delegates of the SW6 camp, which to date is the more popular faction in Baidoa–the heartbeat of a prospective Southwest State. 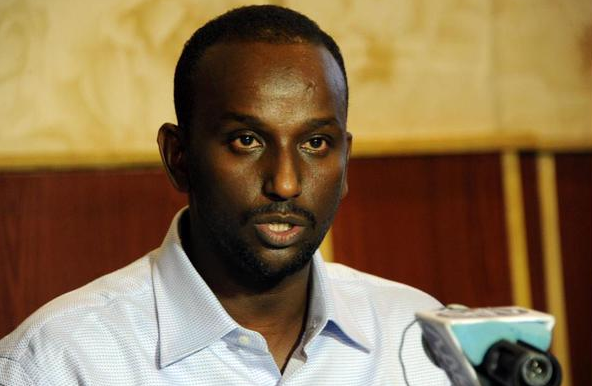 In recent days, AMISOM’s neutrality has been tested again as it was seen as either housing or protecting Sharif Hassan before he left for Mogadishu. 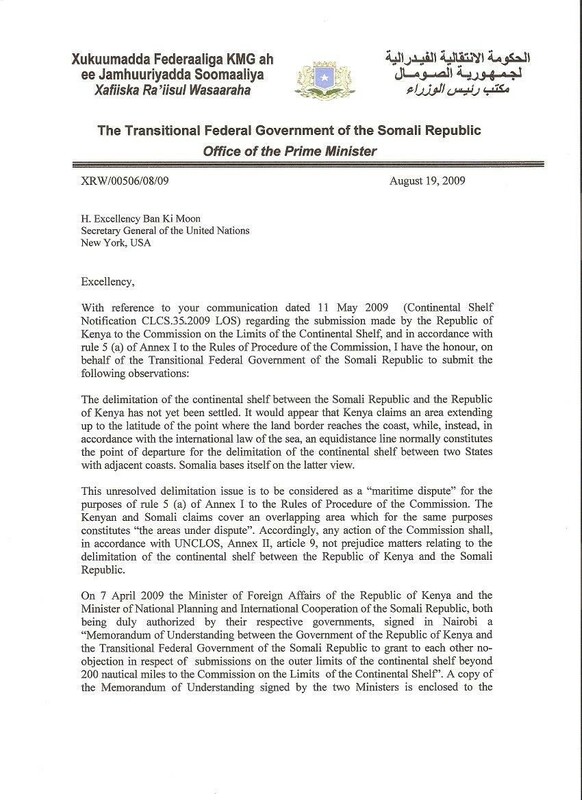 Non-Recognition of SW6 process by UNSOM and SFG: After the SW6 camp approved its constitution and selected its president Madobe Nunow in early March 2014, UNSOM’s Nick Kay and the federal government did all but condemn the result as a threat to peace and stability. 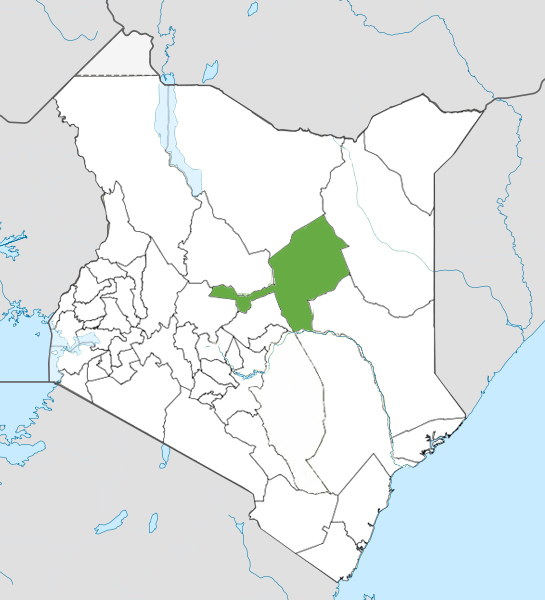 Kay later unequivocally backed the SFG’s decision to form a 3 region state, unsurprisingly since the UN outfit exists to support the government in most circumstances. Kay’s statement helped to fuel perceptions in Baidoa that UNSOM, AMISOM, and the SFG are in cahoots to gift the leadership of a 3 region Southwest State to its picked winner Sharif Hassan. 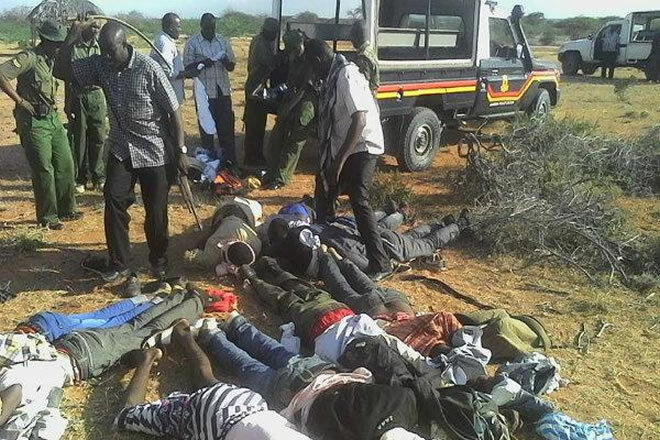 SW6 Elders’ Killing: Even though it is not known (and heavily contested) whether al-Shabaab, SW3 elements, or unidentified criminals were responsible for the death of 8 pro-SW6 Biiyomaal clan elders that were murdered execution-style near Buur Hakaba several days ago, the killings certainly contributed to a sense of victimization among SW6 supporters that re-energized its call for a six region state. 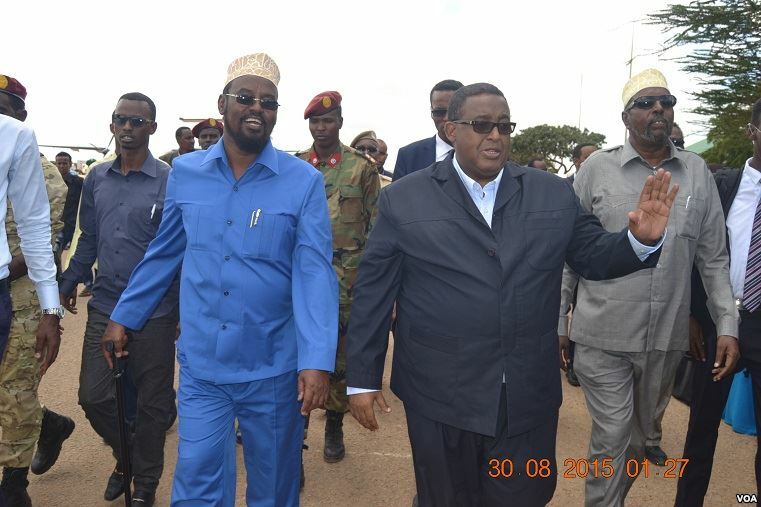 Arrival of Sharif Hassan to Baidoa: While SW6 was feeling pressure against it from figures in Kismayo, the SFG, the international community, and SW3–the arrival of SW3 supporter Sharif Hassan into Baidoa was perhaps the straw that broke the camel’s back. SW6 supporters and MPs Maxamed Ibraahim Xaabsade and Sheikh Adan Madoobe accused Sharif Hassan of bringing weapons and fomenting instability in the city and called for him to leave. 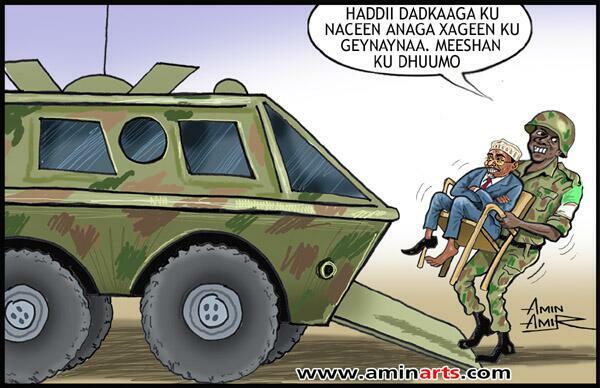 Eventually, Sharif Hasan did leave Baidoa–but only to go to Mogadishu in what is a likely effort to capture the Southwest crown through an SFG-led process despite his unpopularity in Baidoa. More specifically, Somalia’s PM Abdiweli Sheikh Ahmed and Parliament Speaker Osman Jawari have called on Baidoa stakeholders to visit Mogadishu for “pre-consultation” ahead of an effort it will lead to create an interim administration for Bay, Bakool, and Lower Shabelle involving an unspecified number of groups. 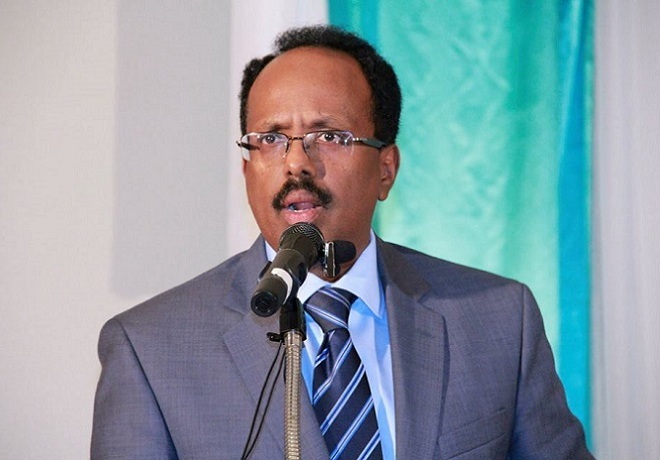 Somali Government Response: Bold or Belated Leadership? 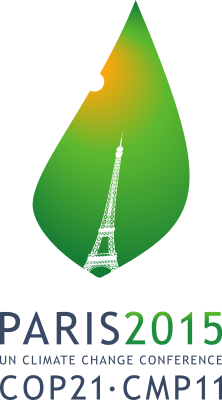 When UNSOM and IGAD began talking about its recognition of the growing crisis in Baidoa, there was an eerie feeling that another contentious political process was going to be taken outside of Somalia and settled–like Jubaland–in the ever warm seats of Addis Ababa’s negotiation rooms. However, the SFG’s recent call for a “pre-consultation” and dialogue in Mogadishu is perhaps a welcome step in keeping Somalia’s problems and solutions inside the country–even as multiple SFG delegations sent to Baidoa to reconcile rival camps have failed. 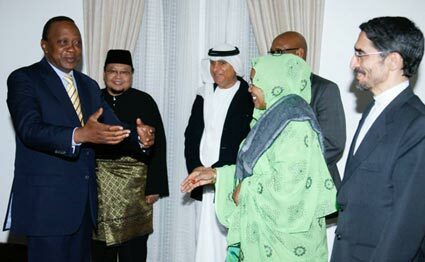 On one hand, the SFG’s mandate among stakeholders to “discuss” the creation of an interim 3 region administration is a sign that it is willing to take a bold stand on a controversial sociopolitical issue, unlike its dithering on whether to prosecute al-Shabaab spiritual leader Sheikh Hassan Dahir Aweys who remains in house arrest. On the other hand, it is controversial for the SFG as a mediator to pre-determine the framework of an outcome that clearly favors one side (SW3) and is in fact one of the core issues that parties are contesting. It will be critical to see how SW6 and other interest groups respond to this invitation for dialogue. Is the SFG on Defense or Offense? The SFG’s call essentially for a Southwest State with Bay, Bakool, and Lower Shabelle could be considered as a defensive move to protect whatever integrity remains of the Addis Ababa agreement with Sheikh Ahmed Madobe. To date, key provisions of the deal such as the handover of Kismayo port/airport and integration of militias into the SNA have not occurred–in part due to unwillingness and lack of sincerity among both parties. The Addis deal all but promised (pending a “constitutional process”) that the Interim Jubba Administration (IJA) encompassing Gedo, Middle Juba, and Lower Juba would eventually become a Federal Member State called Jubaland. Additionally, the SFG’s move in effect negates the recent conference held by stakeholders to form “Shabelle State,” which on paper comprises of Lower and Middle Shabelle. Even though its president and vice president were recently “inaugurated,” Deputy Middle Shabelle governor Ali Osman Ibrahim had rejected the effort in entirety–putting another obstacle in front of the conference’s legitimacy that in part could have been a reaction to Baidoa’s state formation processes. 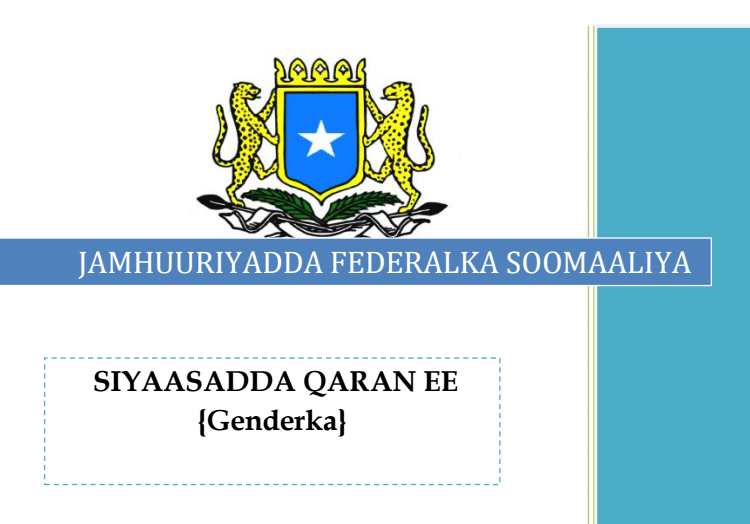 So, if the SFG succeeds in granting Lower Shabelle to Southwest State, this potentially creates an easier process to help Hiiraan region find a partner with which to merge as required in the federalism process. Hiiraan’s partner region would ostensibly be Middle Shabelle since Galmudug, Ximan and Xeeb, and ASWJ are in talks to form a state in central Somalia. This does not guarantee an easy or non-contested process in these regions, but the SFG’s effort to shape up the federal alignment could be a factor in its strategy to deal with the Baidoa crisis and fate of the Lower Shabelle region. Can the SFG’s Process Work? Whether Somalia’s plan to put out the flames of the most recent federalism crisis depends on several factors. Clearly, the role of Sharif Hassan will be important. Sharif is a dubiously wealthy and “effective” politician insofar as his ability to accomplish his often self-centered political aims. 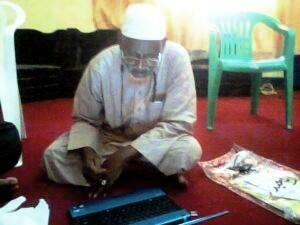 But his unpopularity in Baidoa makes him as much of a spoiler as kingmaker in the upcoming negotiation process. 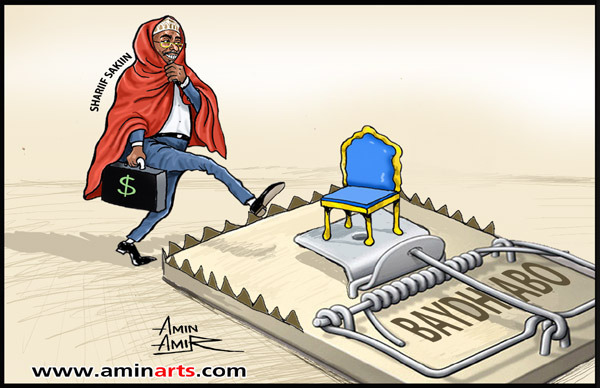 Any effort that is seen to reward or legitimize Sharif Hassan likely will not be considered very legitimate in Baidoa, and some Lower Shabelle stakeholders might feel similarly. Given the outrage that the mere whiff of Sharif Hassan’s presence has caused in Baidoa, it would be hard to imagine him taking residence in Baidoa in the short-term as any kind of authority with local support. A perceived victory for Sharif would also do significant damage to the relationship between the Bay region capital and Mogadishu–something the SFG can ill afford in its federalism experiment. It also will matter what parties the SFG invites to help form the interim administration. It is perhaps a given that the controversial Sharif Hassan will be present and likely cause grumbles especially among the SW6 representatives. But more broadly, there is a sizable number of aspiring political leaders, as well as clans/sub-clans in Bay, Bakool, and Lower Shabelle that vary in sociopolitical influence and are interested in benefitting from the outcome. Fighting between clan militias near KM50 or in Marka represent just how high the stakes are for territorial, social, and political power in Lower Shabelle alone. This should tame shallow thoughts that a 3 region state is more “practical” in governability. 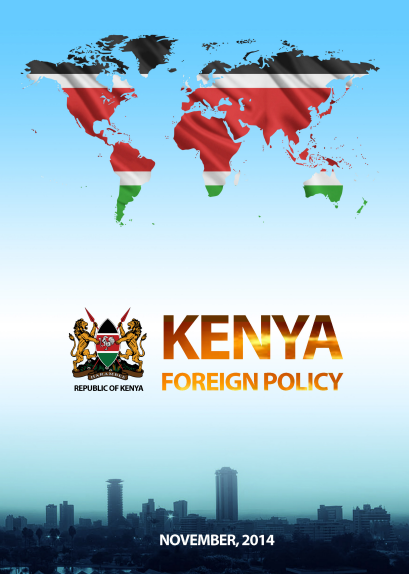 Failure to include certain parties as in the Addis Ababa agreement risks delegitimizing any conclusion of the effort. Lastly, it is difficult to imagine the SFG leading a process to create an interim administration that takes enough time to reach an effective consensus on complex issues, including how authorities are appointed at the top and within the interim administration and which parties will control key resources such as sea and airports. The aforementioned number of parties who may seek gains in this regard makes the invitation list, sincerity, and length of the process even more important. With the violence in Baidoa threatening to mimic that of earlier fighting in Kismayo during the Jubaland crisis, the last thing that is needed is an Addis Agreement 2.0: a non-inclusive and unimplemented deal reached in brief talks. At least in this case, the responsibility of the outcome–bad or good–falls more squarely on the shoulders of the Somali government, rather than foreign officials.